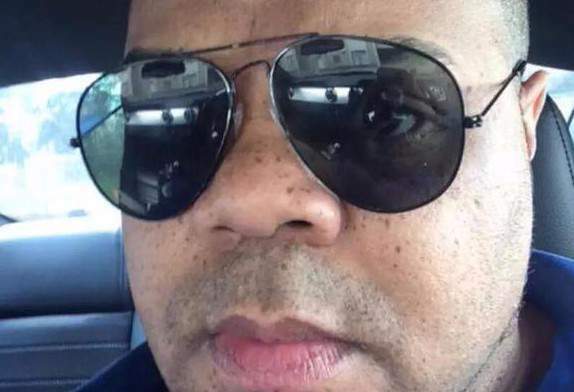 Was Vester Lee Flanagan inspired by race hatred? Or was he just a victim who was pushed over the edge? In a 23-page fax sent to ABC, Vester Lee Flanagan indicated that the recent Dylann Storm Roof shootings which targeted black parishioners at South Carolina Church, were the events that brought him to the edge leading him to seek revenge race hate crime. It’s unclear who ‘them’ refers to. In his note, described as a suicide note (had he intended to kill himself after targeting his victims?) to friends and family, Flanagan also claims that he was a victim of racial discrimination and sexual harassment, and had been targeted for being a gay black man. Leading into Wednesday’s shooting, Flanagan glorified his youth when he was a ‘model’ and a high paid companion. The note also asserted that Wednesday morning’s ‘targeted’ attack on his former WBDJ-TV colleagues (he was fired in February 2013 for unknown reasons) was inspired by inspired by infamous mass shooters, Eric Harris and Dylan Klebold. The revelation comes after news this afternoon that Flanagan had mortally succumbed to a self inflected gun wound (circa 11.30 am upon being cornered by police) after initially surviving the gunshot only to die hours later at a Northern Virginia hospital. 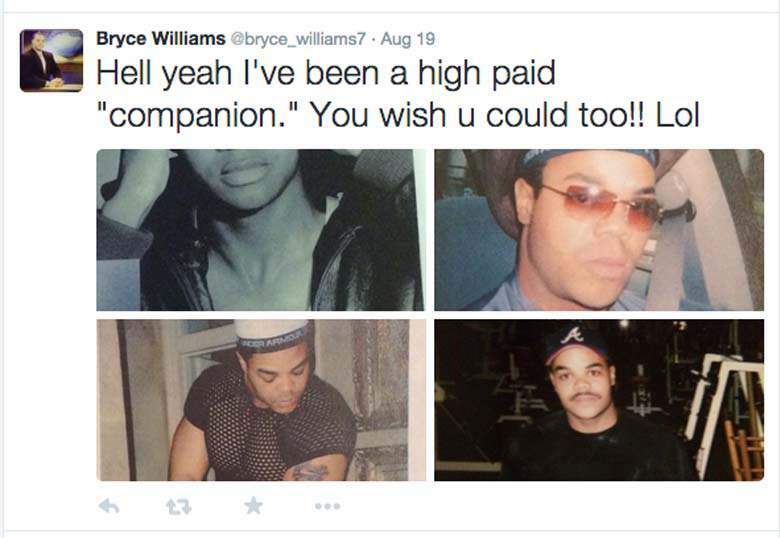 Of note, ABC says a man by the name of Bryce Williams first contacted them a few weeks ago, wanting to pitch a story. What that story was the media outlet have declined to tell. According to ABC, the same individual contacted them again, sending them a fax two hours after the shooting. In the fax Flanagan says he became angered after the Charleston church shooting and that Jehovah made him act. At the same time, Flanagan professed a deep respect for other mass shooters like Virginia Tech gunman Seung-Hui Cho. Added the former reporter who in previous story beats had covered a range of homicides: ‘Also, I was influenced by Seung–Hui Cho [the Virginia Tech shooter]. That’s my boy right there. He got NEARLY double the amount that Eric Harris and Dylann Klebold got…just sayin’. 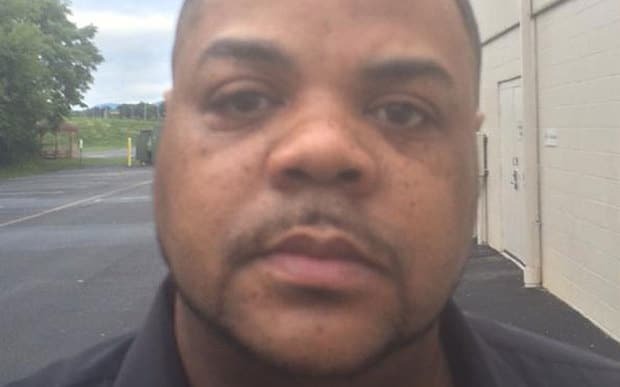 The shooting has since led to commentators on the web debating whether Flanagan was a victim of racial profiling and had simply erupted, whilst others insist that Flanagan was an instigator of a hate crime. According to Flanagan’s suicide note, he saw himself as a victim of white man oppression and violence directed at black men, exemplified by the Dylan Roof shooting over the summer targeting black parishioners. Yet one wonders was today’s killing a revenge for perceived sleights against his ‘white’ colleagues or the moral failings of a man who confused his own personal failings to that of a system stacked against the black man …? 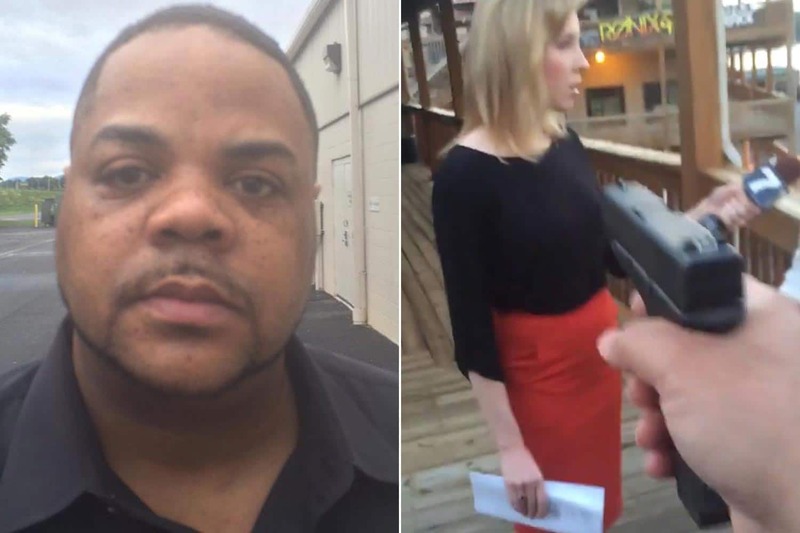 So what we have here potentially is a revenge killing… an aggrieved black man murdering two innocent white people. We’ll have to wait and see. But if it turns out that’s the case, don’t expect the NY Times to report it that way. sounds more like a crime of rage by a former employee than a hate crime to me, not racial at all. That’s the way it should be reported until/unless evidence is uncovered to support your suspicions. What a selfish, mediocre, pathetic man who couldn’t make it to the top and have to blame it on his race and everyone around. 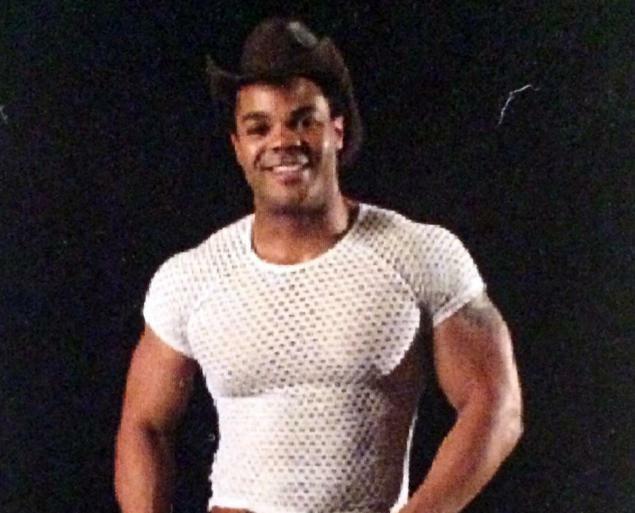 Vester Lee Flanagan posted the above image glorifying his youth as a model. Somewhere in Missouri, a man hides in a small house purchased for him by his friends. He uses a fake name and wears sunglasses and a hat whenever he goes outside to avoid being recognized. He’s not a cowardly man, in fact, he used to be a police officer in a suburb of St. Louis. One day a thieving thug attacked him and tried to kill him with his own service weapon, but the officer, though injured in the attack, managed to kill the thug instead. Instead of reporting the truth about what happened there, the mainstream media fabricated an idiotic story about a racist police officer who randomly decided to kill an innocent wide-eyed young college student based solely on his skin color. This resulted in the officer being publicly humiliated and chastised to the point that he quit his job and went into hiding. Here’s the thing: We’re all horrified and saddened by the deaths of two innocent human beings. We have no idea what their “take” might have been on the Ferguson incident, but I’ll bet we can guess the killer’s “take” on it, and I’ll bet it contributed to his self-confessed hatred. Two popular media figures might still be alive today if not for the focus on sensationalism instead of on truth that we’re fed every living day by the mainstream media.